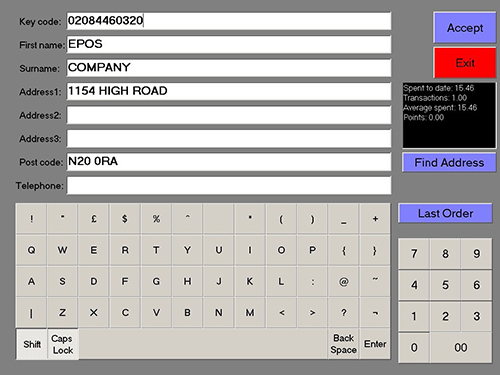 Epos Company can also supply Caller ID with Post Code Recognition system for food delivery and other applications. Both these systems can improve your business. Customers changing requirements means that the Take Away or Fast Food service needs to change to suit their customer base. From the first phone call to the delivery at the front door these systems inform and guide you to your clients. The program retains customer details once entered, this then shows that customer details whenever they call your business.